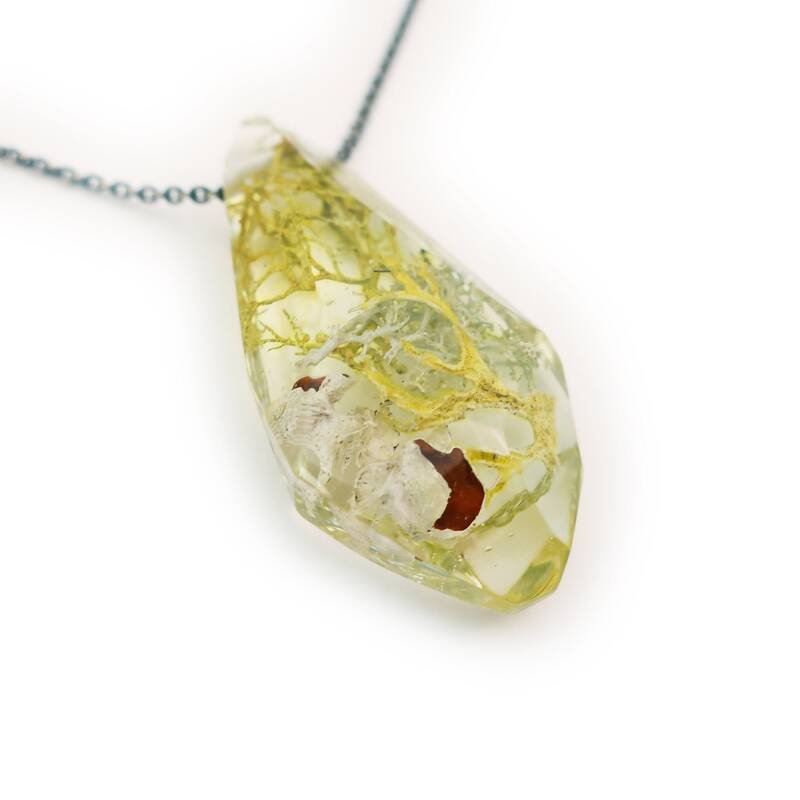 Natural and hand-gathered bright green mosses and lichens suspended in hand cast crystal clear eco resin. The pendant is a geometric faceted organic shape. 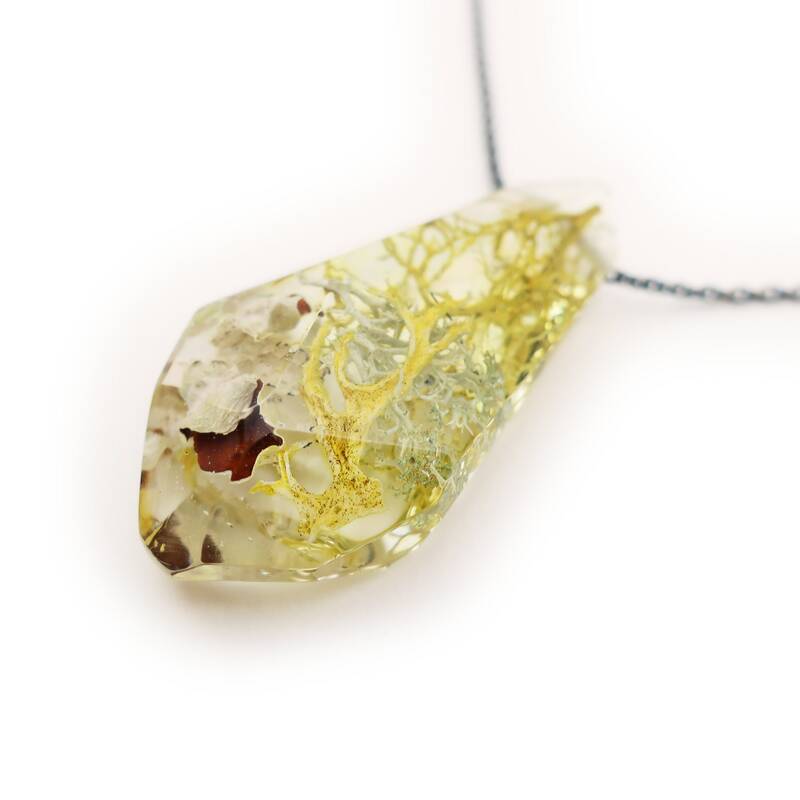 Showcase your love and fascination with the natural world with a stunning and original resin moss jewelry center piece. 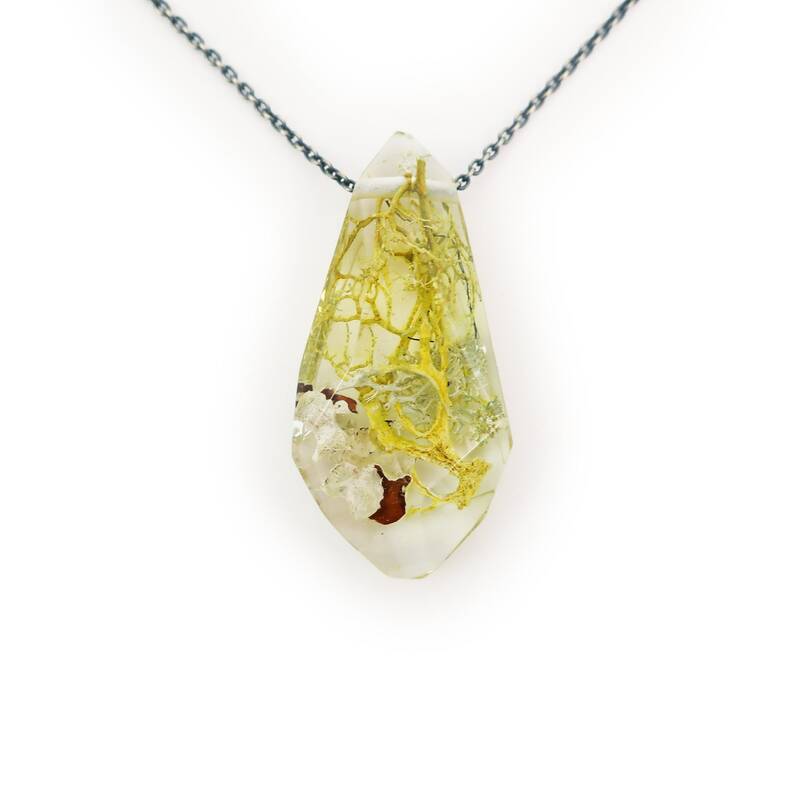 Makes a great gift for gardeners, bryology fanatics, nature jewelry, and science jewelry collectors. ***Please Note: You will receive a necklace similar to this image and in the same style, but not exactly like the piece pictured!